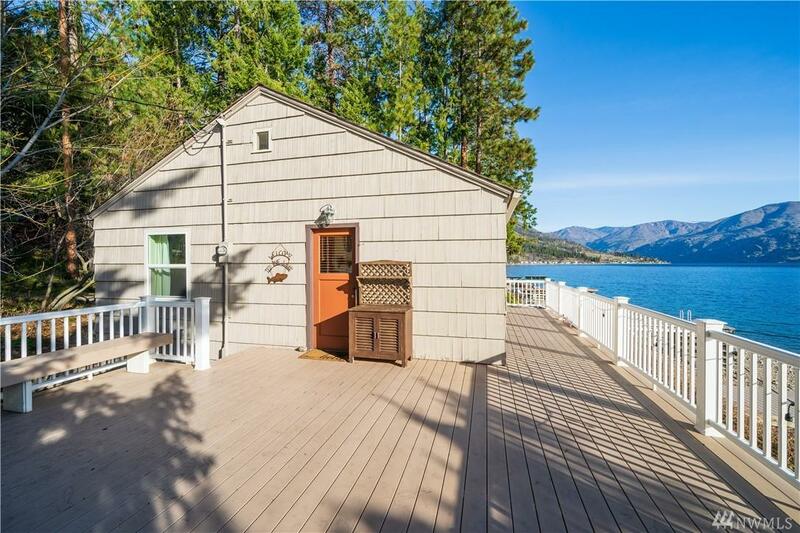 Lake Chelan WF home located in the iconic neighborhood of 'Shrine Beach'. 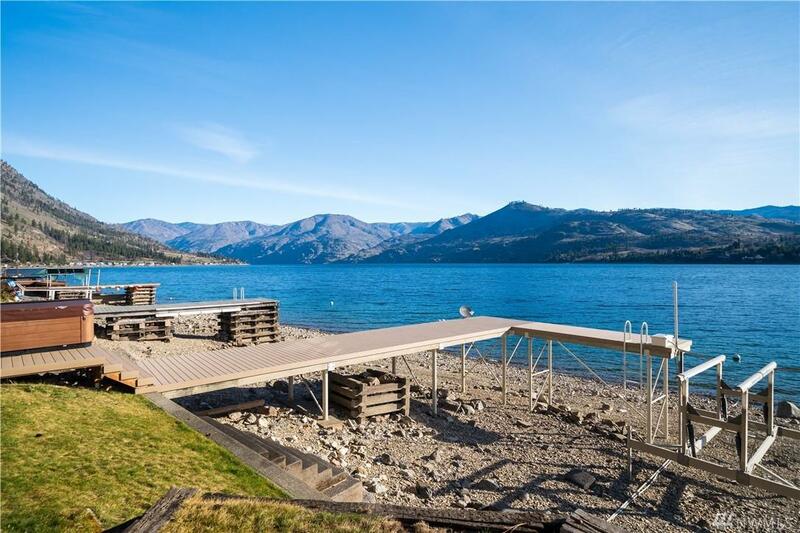 Property includes 3 parcels with easy access to 75' of waterfront, large L-shaped DOCK, BOAT LIFT and BUOY. Septic approved for 5 bedrooms so room to expand/build on additional parcels. Beautiful wood finishes inside, fireplace on each level and remodeled 2nd bathroom. 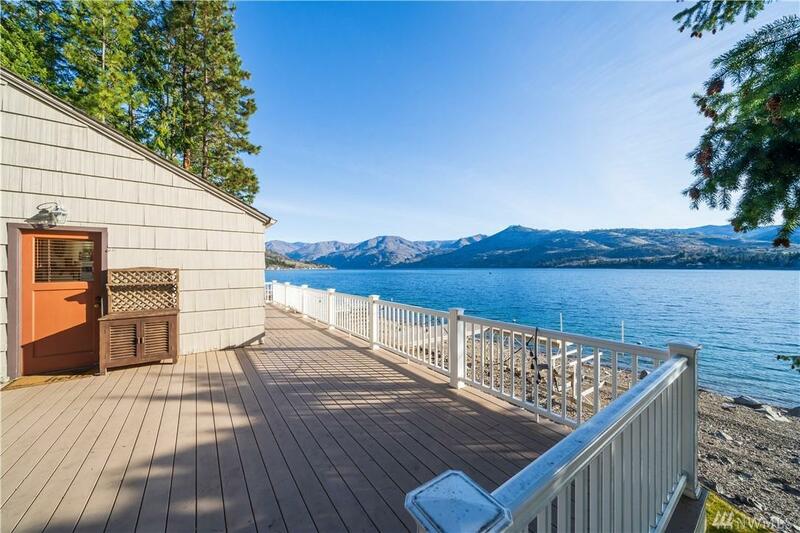 Expansive deck to take in the views. Hot tub & most furnishings included.